In the magic world, 52 Lovers, volumes 1 and 2 now enjoy the well-deserved status of modern classic. 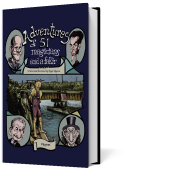 Sixteen years after their publication, Páginas Publishing is proud to revise this legendary work as 52 Lovers Through the Looking-Glass, consisting of a new, corrected and extended translation of the original books, containing unpublished material previously known only to a few privileged people. 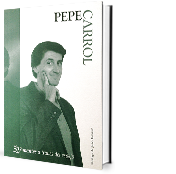 52 Lovers Through the Looking-Glass combines the original two volumes into a single book, and included, for the first time ever, are all the articles that Pepe Carroll published in the Madrid Magic School’s renowned Circular over the course of almost twenty years. 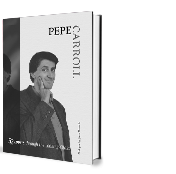 In addition, the book includes the description of two of the hardest routines from Carroll’s repertoire, whose secrets have been unknown up to now: his legendary dice routine and the act that won him the first prize in Card Magic in the 1988 FISM Congress that took place in The Hague! 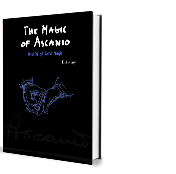 Finally, a chapter with examples of Carroll’s famous humor is also included, as well as the artist’s photos and biographical sketches and dedications written by his fellow magicians. Judging by its scope and the quality of the material it contains, 52 Lovers Through the Looking-Glass is bound to become a literary classic in the field of Spanish magic. 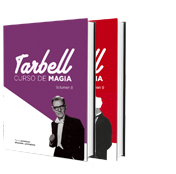 Above all, it aims to be a heartfelt and loving homage paid by Spain’s magic community to one of the greatest figures in the history of Spanish magic. Judging by its scope and the quality of the material it contains, 52 Lovers Through the Looking-Glass is bound to become a literary classic in the field of Spanish magic. 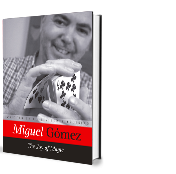 Above all, it aims to be a heartfelt and loving homage paid by Spain’s magic community to one of the greatest figures in the history of Spanish magic. All of them are outstanding because of their subtle methods and rigorous construction. The effects themselves are fascinating and the patter has a unique literary elegance.